We love families! 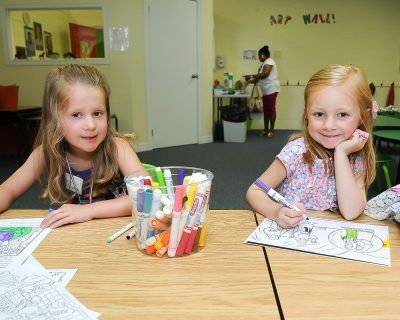 Children and families are what we are about, and every Sunday all children (babies through grade 5) experience safe, age-appropriate environments where the Bible is taught in a creative, relevant way. Whether it is snuggles given to babies and toddlers, songs sung with preschoolers, or a fast paced kids worship service, we know your child will be welcomed and loved in his or her classroom. All of our classrooms are staffed with screened, trained volunteers who are committed to serving children and families. Look for the designated area for first time families. We will meet your family, check your child into our system, and one of our volunteers will lead your child to his or her classroom. We will ask for the following personal information: children’s names and birthdates, family members’ names, address, phone number, and any special instructions (allergies, special needs, etc.) for your child. We love little ones! 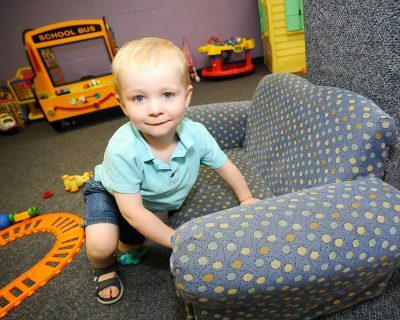 Our Nursery and Toddler rooms have been designed to be warm and safe environments and are staffed with volunteers who love and care for these precious ones in their early stages of life. These little learners begin to learn the foundations of faith through Bible stories, songs, and crafts. Children begin to develop friendships with peers as they play and learn together. Worship, Bible teaching, and relational small groups are what kids will experience in this exciting program. 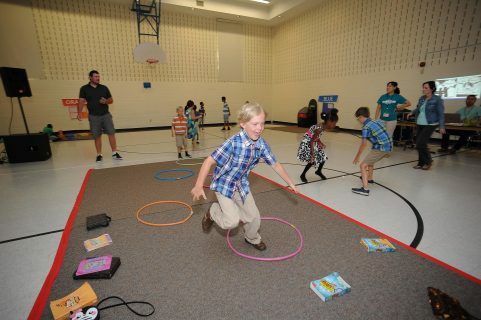 Children begin together in the gymnasium for activities and worship, and then are divided into 2 separate age groups so that each group can participate in a dynamic, age-appropriate Bible teaching. This year’s theme is Roar. Venture onto an uncharted island where kids survive and thrive. Anchor kids in the truth that Jesus carries them through life’s storms. 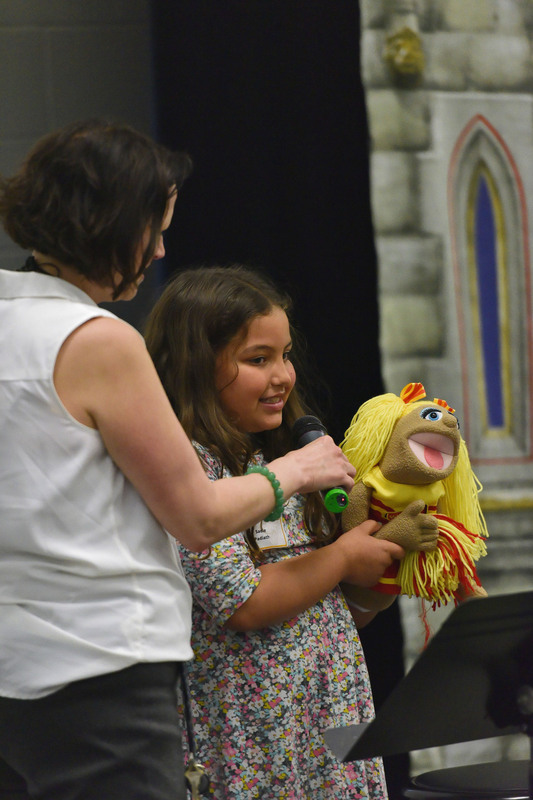 Glitterbugs focuses on music, singing, and building friendships. The children practice their songs every week, which allows them to develop musically, and grow in confidence. This program runs from 7:00pm – 8:00pm and costs $25 for the year. Please click the link below if you have questions and would like to contact our Kids Pastor. A fun night for kids that focuses on friendships, skill development, and fun! This program runs from 7:00pm – 8:15pm and costs $25 for the year. Please click the link below if you have questions and would like to contact our Kids Pastor. Small group bible studies are great for getting connected.